Phoenix produces a well balanced and rich bitterness. 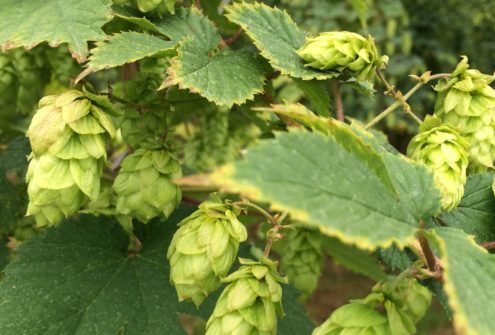 Phoenix is an unusual hop with high oil content making it a good alternative to a dual-purpose or bittering hop. Brewers have reported interesting results when using it as a late hop. It is a little known hop as it was originally grown and sold to just one brewer. Developed at the same time as Admiral, Phoenix is a seedling of Yeoman, developed at Horticulture Research International (HRI), Wye College in the UK and released for general cultivation in 1996. Phoenix produces good-sized cones well down the bine. A versatile and robust variety, with a high tolerance to wilt, resistance to strains of powdery mildew, but susceptible to downy mildew. It has excellent storage stability.